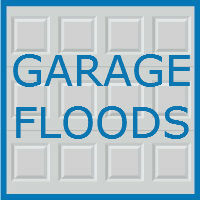 A flooded garage can be a major problem. While everyone uses their garage for different purposes, it is safe to say that most people would be sad to see the things stored in the garage damaged by invasive water. Furthermore, flooding can damage the entire structure of your garage. The heavier the flooding, the more serious the damage can become. Your garage walls and flooring can easily be damaged by water, and extensive flooding can even break or damage your garage door. Many homeowners believe that they do not need to worry about flooding because they do not live in an area with a major risk of flooding, but water can easily make its way into any garage in any location. Therefore, it is important that all garage owners take extra care to ensure their garage is protected from flooding. 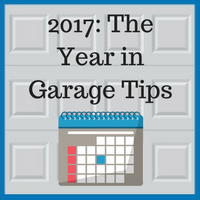 Below, check out a few ways to flood proof your garage, and a step by step guide for cleaning up an already flooded garage.